We’ve reviewed a couple of other titles from eoz games recently, including Word Cracker and Ticker Quiz. And while they weren’t perfect, they offered up some pretty decent entertainment. 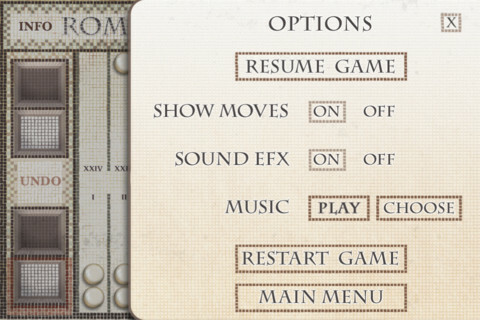 But with Roman Backgammon, eoz may have their best iPhone game yet. Backgammon, for most younger people, is the game of our grandparents, something that we might have tried to play on a rainy day when there was literally nothing else to do, but ultimately found too boring. But despite your preconceptions, Roman Backgammon is worth a try. And if you already love the game, you’ll enjoy a new twist on the old classic. It’s always nice to play an iPhone game with the option to play either solo or with two people, giving you the option to let your kids play with your phone on a long car ride. Also nice? The three skill levels you can choose from, and the ability to set background music from songs in your iTunes library. 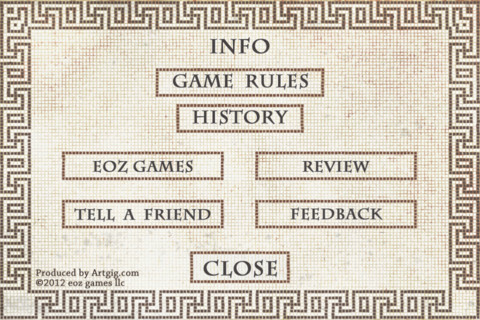 The game itself looks like a Roman mosaic, and that gives it a lot of character. But the controls aren’t based in ancient history: the interface is sleek, easy to use, and even easier to play. 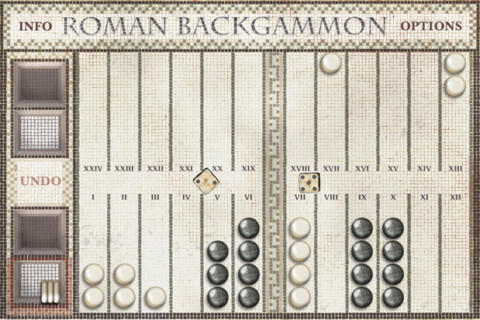 Thoughtfully, Roman Backgammon includes a very well-written history of the game, giving it great educational value. And of course, complete rules are included as well. Whether you play against the computer or with a friend, it’s actually kind of fun to see who can move their stones around the board first. 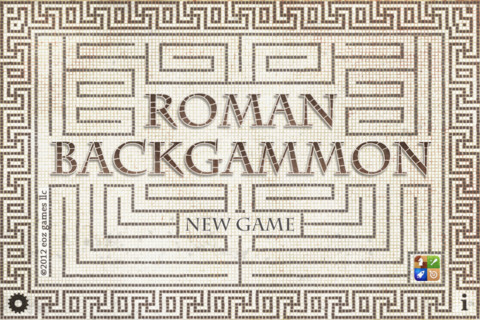 For such a stodgy old game, Roman Backgammon makes it enjoyable again. So, what’s next for eoz games? If they continue down the same road as Roman Backgammon, then perhaps they can make a name for themselves by creating more historical games. Perhaps the ancient Egyptian game of Senet, or the types of card games that populate Jane Austen novels. If that’s the path they go down, then eoz will be one developer to watch in the coming years. 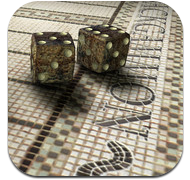 Roman Backgammon is compatible with iPhone, iPod touch, and iPad. Requires iOS 4.0 or later.